Thirteen days prior to July 24, all room nights that have not been reserved will be deemed to be to be room nights that the group will not use and they will be subject to the attrition provisions. Such room nights will at that date be returned to the hotel’s general inventory. 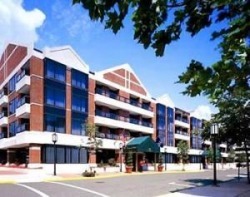 Reservations: Select the reservations tab on www.townsendhotel.com and enter your one of a kind block code. Note: This is a completely Non-Smoking establishment. 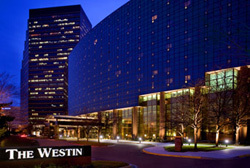 All reservations are attendees of attendees must be received before July 21, 2009. At the cut-off date, the hotel will review the reservation's pick up for the event, and release any unreserved rooms for general sale, and determine whether or not it can accept reservations based on a space available at the standard rate after this date. A block of rooms have been reserved for July 23, 2009 - July 26, 2009. The special room rate will be available until July 9, 2009, or until the group block is sold-out, whichever comes first. King suites only, no doubles available at this time. Nightly Managers Reception for maximum of four persons per suite. 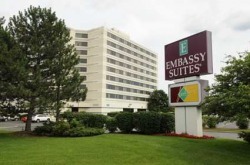 Reservations will be accepted by calling the hotel directly at 1-800-EMBASSY. A review of your room block will be performed 14 days prior to the date of arrival. Any rooms that have not received a confirmed reservation along with payment guarantee, will be released back to the hotel inventory for public sale. Any reservations made after the 14-day cut-off period will be accepted on a space available basis only and may be subject to the regular rack rate of $109 per King Suite and $149 per Double Bed Suite.